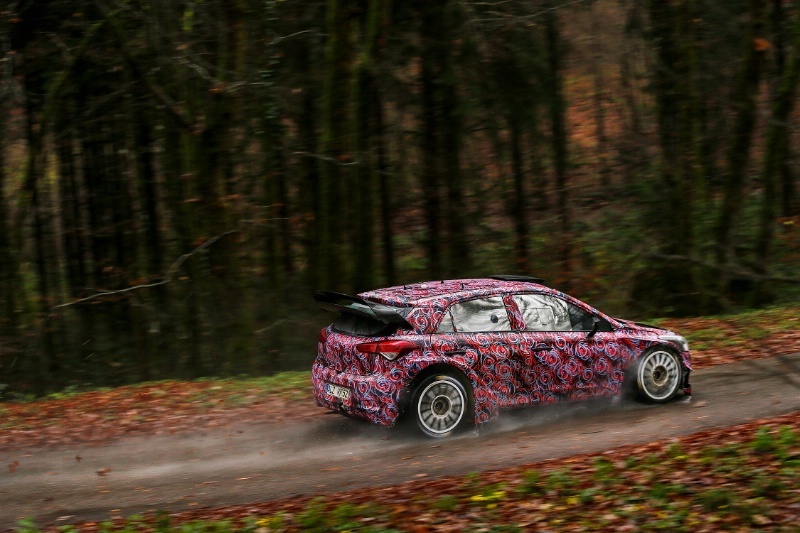 Hyundai says it is nearing the final stages of development for its much anticipated all-new i20WRC challenger, which will make its debut in January's Rallye Monte Carlo. The new car, which is based on the latest generation Hyundai i20, was supposed to make its competition debut mid-way through the 2015 season but it was later decided to postpone this until the start of 2016. Following an extensive development programme across various surfaces, Hyundai revealed it has accumulated 8,000 km worth of testing miles and is now ready to homologate the machine. “We are approaching the final phase of preparation for our New Generation i20 WRC ahead of its debut in the 2016 FIA World Rally Championship,” said team principal Michel Nandan. “Since March, we have completed around 8,000 km in stage conditions with the car, on both gravel and tarmac. “We have carried out an average of one test per month with the new car, including a test this week in France, which ends tomorrow. For a young team like ours, to run an intensive testing programme alongside a heightened WRC campaign has been quite an achievement but we now embark on some important milestones. “We all look forward to officially unveiling the new car in Alzenau next week, before concluding the all-important homologation process with the FIA. From there, we can really start the 2016 season. We have covered different types of terrain and rally conditions in testing so far, but we haven't yet run the car on snow, so that's something we will carry out later this month, both as part of the car development but also as a pre-event test for Rally Sweden. Hyundai returned to the WRC in 2014 and scored a surprise 1-2 finish with Thierry Neuville and Dani Sordo in its return year. The duo, plus new signing Hayden Paddon, all scored more podiums in 2015 and will continue to form the team's driver line-up in 2016, along with Kevin Abbring.